Livingston Old Parish has partnered with the West Lothian Foodbank to operate a Foodbank distribution point at St Andrew’s Church Hall on Tuesdays and is open from 12:30 to 2:30 pm. So what exactly is the Foodbank and how does it work? Every day in Scotland, people go hungry as they are hit by a crisis that is not their fault such as redundancy, reduced working hours or, particularly for those on a very low income, something as seemingly small as an unexpected bill. Others are people experiencing delays in receiving benefits or facing debt problems or those hit by illness. The Foodbank provides emergency food and support to people like these. 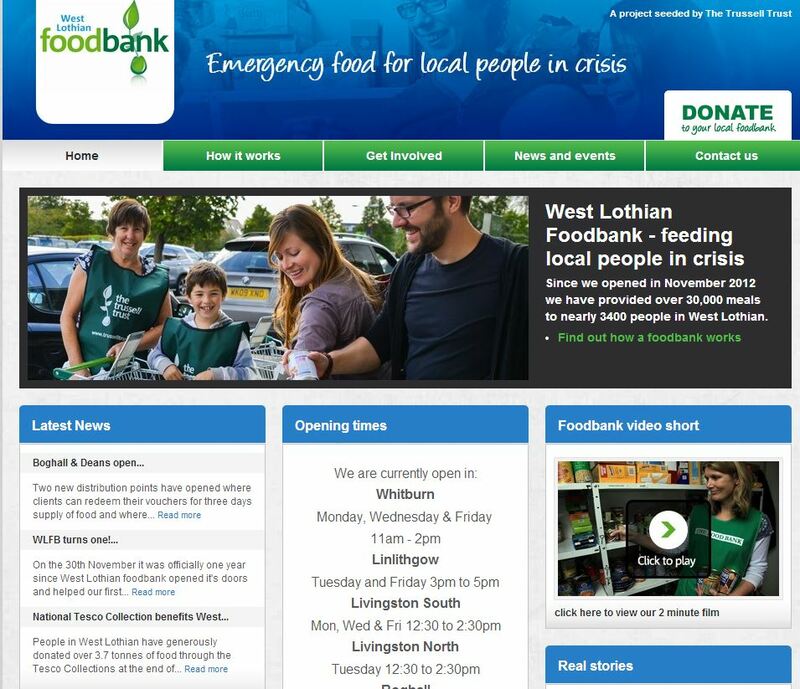 All food is donated by the public and sorted by volunteers at the West Lothian Foodbank Warehouse in Whitburn. Frontline care professionals such as health visitors, social workers and Citizens Advice Bureau staff identify people in crisis and issue them with a food voucher. People coming to the Foodbank at St Andrew’s receive three days of nutritionally balanced, non-perishable food in exchange for their food voucher. We also have a small stock of toiletries and hygiene products which can be provided to those who need them. Working in small teams, our volunteers welcome the people coming to the Foodbank and chat to them over a cup of tea or coffee whilst their food is checked and put into bags. Wherever possible we aim to signpost people to agencies who are able to help with any longer term issues. If you would like to know more about the Foodbank or help as a volunteer please contact Rob Ebbins (hypertext link to contact list). 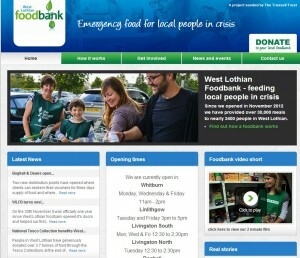 Donations of food are always welcome and the food items currently needed are listed here (hypertext link to: http://westlothian.foodbank.org.uk).